Police questioned the wedding guests alongside a Ferrari and a Lexus on a gridlocked Tverskaya Ulitsa. Police charged 15 Dagestani wedding guests with minor offenses after eyewitnesses reported hearing gunshots as their wedding cortege wound its way through central Moscow. Marriage processions are a common sight on Moscow streets on the weekends, with festively decorated cars often following a stretch limousine carrying the newlyweds. But few end like the wedding celebration of this unidentified Dagestani couple. The shots were heard Sunday afternoon when cars with the trigger-happy guests were rushing along Leningradsky Prospekt to a wedding reception, Channel One state television reported. After calling for reinforcements, police stopped the nine-car cortege on the corner of Tverskaya Ulitsa and Mokhovaya, in front of the Kremlin. 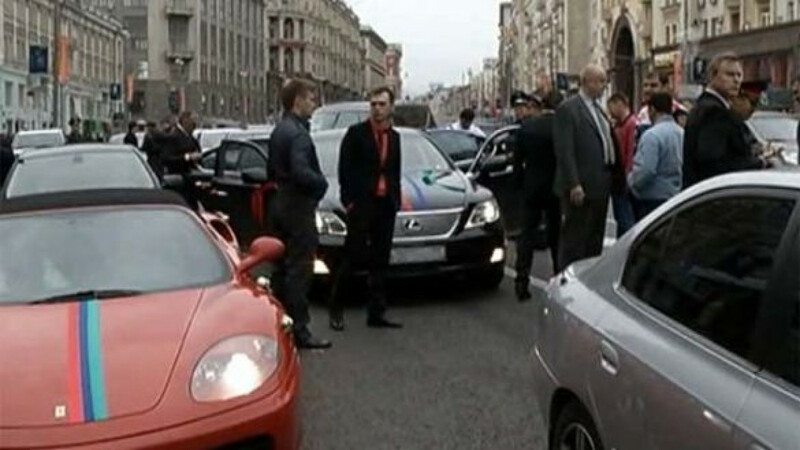 Channel One footage showed police questioning the guests alongside a Ferrari and a Lexus on a gridlocked Tverskaya Ulitsa. After searching the vehicles, police summoned about 15 members of the wedding party to a local police station to take fingerprints and carry out further questioning, Interfax reported. One wedding guest admitted to firing an air gun but said he had done so in the Moscow region earlier that day, Rossiiskaya Gazeta reported. He faces losing his license to use the gun, which police classify as a nonlethal weapon, and a fine of 2,000 rubles ($65). Police later charged all nine drivers with improperly using their car horns, while others were charged with illegally tinting their windows, Interfax reported. 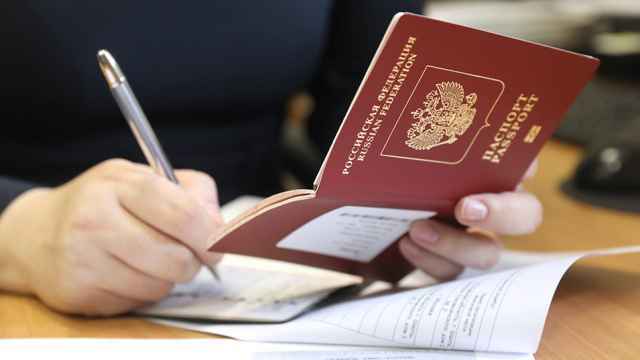 The charges carry maximum fines of 100 rubles and 500 rubles, respectively.